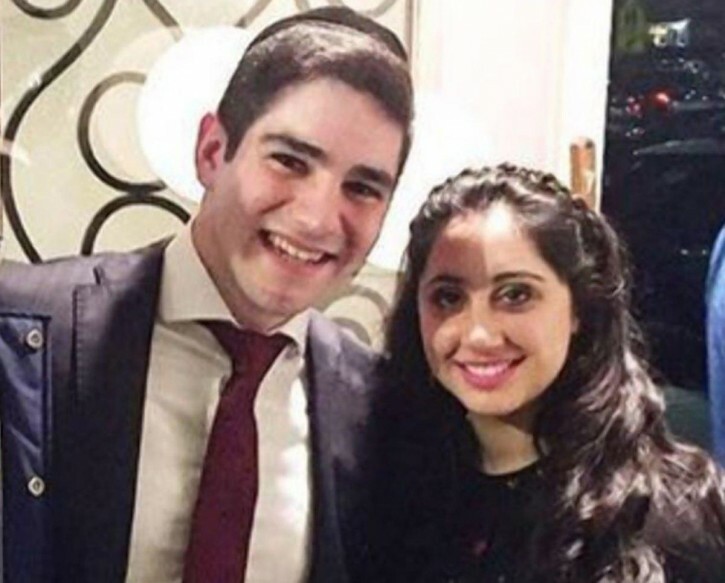 Long Island, NY - Less than two weeks after a newly engaged Orthodox Jewish couple lost their lives in a deadly car crash, the Supreme Court judge who chose not to send one of the two drivers arrested in the fatal collision to jail on an earlier conviction said that he regrets his decision. Judge Matthew Sciarrino admitted that going easy on 25 year old Zakiyyah Steward, who had been convicted of stealing a total of more than $3,000 from her employer over the course of four burglaries was a mistake, reported The Daily News (https://nydn.us/2HznbMT). Despite an offer from prosecutors to sentence Steward to two to six years in prison in exchange for a guilty plea on her burglary conviction, Sciarrino ordered the Brooklyn woman into The Fortune Society’s prison alternative program, as previously reported on VIN News (http://bit.ly/2HAy2WR). Steward was thrown out of the program for poor attendance and engaging in drug and alcohol use, but when she appeared again before Sciarrino in March, he ordered her back to The Fortune Society instead of sending her to jail. Less than a month later, Steward was one of two people arrested in the horrific crash on the Nassau Expressway, with six marijuana cigarettes in her pocket. Brooklyn assistant district attorney Robert Zweibel said that Steward’s blood alcohol level of .076% at the time of the crash was just below the legal limit of .08%. Steward admitted to police officers that she had been smoking marijuana “all day” and she was arrested on four different charges involving drugs and alcohol. Steward is being held in the Nassau County Correctional Center in lieu of $25,000 bail. According to a new directive from Sciarrino, she would be held without bail on the burglary charges should she post bond in Nassau County. Sciarrino has blood on his hands indeed. Him and DeBlasio, who appointed him. I spit on them both. Shkoyach, judge. Your left-wing liberal PC attitude won't bring them back, R"L. So, are you going to quit, or do you think you're yoitzeh with your lame apology? These liberals judges need to be removed from the bench. What punishment will he get??? Very easy to say ' I take the blame" , if there is no consequence to saying it???? H e should sit in jail or be fired from the bench , so that others will see that NO ONE - EVEN JUDGES -are above the law!!! He is only looking for publicity!!!! Let him accept a punishment for his action of "accessory to vehicular manslaughter" , so that others will learn that there is no free ride!!!! When was her alcohol level checked? if it was even only 15 minutes after the accident then she was legally drunk at the time and I would guess it was much later than that because the police had a gruesome scene to deal with. Unfortunately the only way liberals learn is when it is too late. He has left two families shattered and the hearts of thousands wounded by his inept insane decisions. Two lechtig kinder who would have brought nachas to the world are korbonos to the bleeding heart liberals and dreck like the driver get to roam the streets leaving a trail of horror. H-Shem yerachem! We need to get our acts together and do what it takes to bring Moshiach! Dumb talena judge, should be removed from the bench!! When is he retiring? I know that Judges are appointed for "life"??? but this one MUST GO!!!!!!!!!!! There will be no punishment. The sad fact is that because of the way our system is structured in a state like New York that is so under control of one party there is absolutely nothing that is going to happen to this guy. The ruling party will chalk it up to "good intentions" and nothing will happen. Hardly the first time that activist judges have gotten away with murder and hardly the last time. A true injustice for all of us. These guys shake the right hands and they do indeed get a free ride for life. Not blaming anyone, but just wondering what the mihalech is today. Is it accepted/proper/permitted for an engaged couple to be alone in a car on a highway at such a late hour? Doesn't take away from the Gehenim that the Italian punk and the African American drunk will get. Agree with number 13. Remove the rabid anti semite's comment from here! We live in a free country and everyone is free to choose when he is on the road---so who is this low-life who has the nerve to condemn the young couple HY"D??????? He is no truth as his alias states!!!! !He is full of first-class SHEKER!! !